Erico EM-M Type snap close conduit/pipe to flange clip fits 1/2-Inch, 3/4-Inch EMT, 1/2-Inch and 3/4-Inch rigid/pipe conduit. This 0.709 - 1.181-Inch OD clip features spring steel construction and Caddy® armor finish. 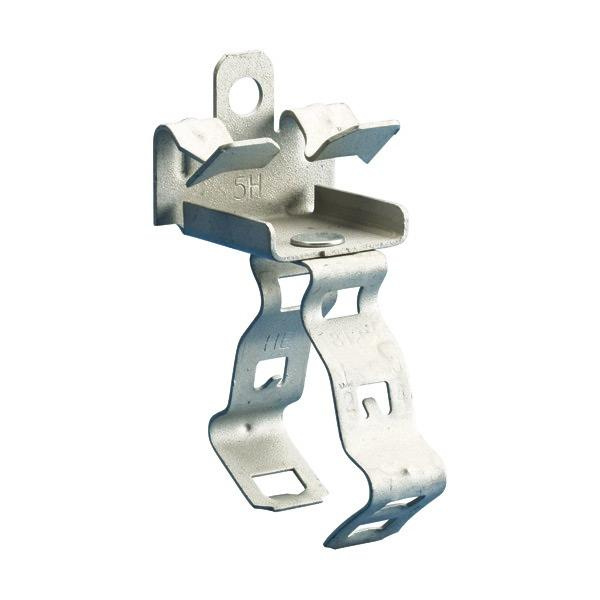 This bottom mountable clip withstands static load of up to 75 lb. It has flange of thickness 9/16 - 3/4-Inch. Clip is cULus listed.